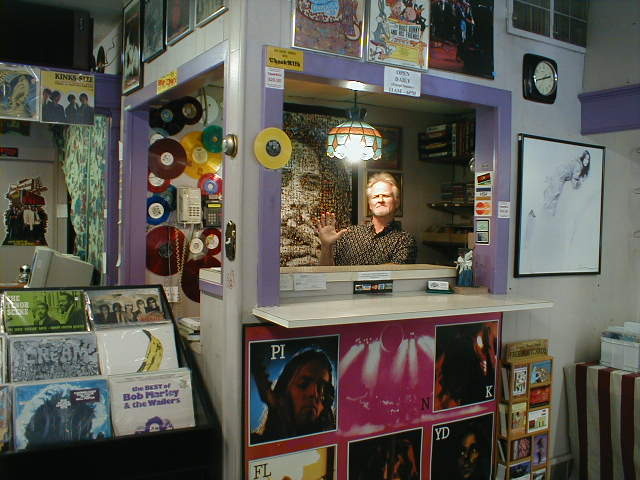 The Record Collector opened in Salt Lake City, Utah in 1984 and has been selling CD�s, tapes, posters, music memorabilia and especially COLLECTABLE RECORDS for the past 25 Years. We recently changed to on-line sales only and will be filling our eBay store with the best of our inventory to sell directly to you. You can count on us for honest, dependable, fast, professional service with a 100% guarantee on everything we sell. Visit our eBay store by clicking the eBay logo below. WE DO NOT BUY RECORDS ONLINE! What are your records worth? The easiest way to find the value of your records is to go to the Buy page on eBay, type in the artist and album title and "LP," and click Search. After the records are located, click Completed Listings under Preferences in the left margin. This will show you what the album has been selling for. If you're searching for specific LPs, and don't see them in my eBay Store, send me an e-mail at . If we have it, we'll get back to you within 24 hours. If we don't have it in stock, we'll keep your request on file for 30 days in case we locate a copy.